The first week in January, already our silly season, will be even more crowded in 2017 when the World Junior Surfing Championship roadshow comes to town. The World Surf League event is regarded as a significant stepping stone to future professional success, with Hawaii’s Andy Irons, Brazil’s Adriano de Souza and our own Sally Fitz-gibbons and Dean Bowen having won the crown early in their careers. The event features 48 young male surfers and 18 young female surfers from around the world, and will be supported by 25-50 on-site staff. The Championships will be broadcast through a live webcast, highlights TV show and publicised during other Championship Tour events. 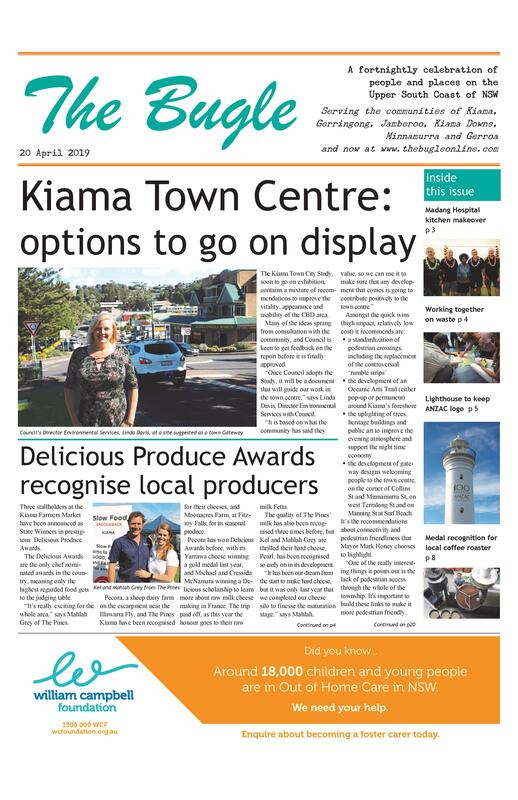 On announcing news, the NSW Minister for Trade, Tourism and Major Events and Minister for Sport, Stuart Ayres, said the event would give Kiama worldwide exposure, and attract thousands of visitors to the region. “The WSL World Junior Championships is the premier event for young surfers, and will see the very best athletes coming to Kiama to compete. It will be a huge boost to the South Coast, confirming the region’s reputation as a must do for visiting surfers. Great news, but will Kiama be able to cope with the extra visitors at what is already our busiest time of year? According to General Manager Michael Forsyth, the opportunity was too good to pass up, even if accommodation will be hard to find. WSL Australasia staff visited Kiama to check out our beach breaks, before making the commitment to hold the Championship here.